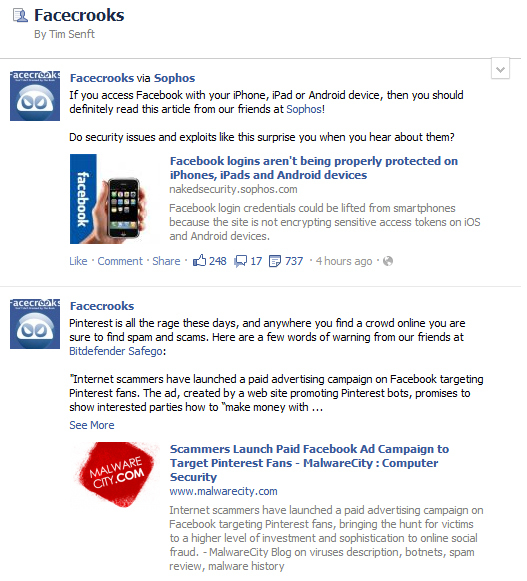 Facebook introduced ‘Smart Lists’ to help users bring more organization and privacy to their Facebook experience. The ability to create Lists has been available for a very long time, but only a very small percentage of users utilized the feature. Lists offer great sharing and privacy benefits if used correctly. Facebook is hoping that “Smart Lists” will give users the nudge they needed to better embrace the benefits they provide. As we covered in another post, Smart Lists automatically group people based on their common characteristics and is dynamically updated. If you are in the majority, and have never used Lists on Facebook before, why not improve and better secure your Facebook experience? Here you can select a list just by clicking on it or create a new one. You can add friends and Facebook pages you have liked to specific lists, and your friends and Pages can be added to multiple lists. If you have a relative, who happens to be a close friend, and a gaming buddy, then you could add this person to all three lists. There is another easy way to start a list or add one of your favorite pages to an existing one. Navigate to the Facebook page you want to add, and click the “Like” button on the right side of the page underneath the cover photo. Next, you’ll click the ‘Add to Interest Lists’ link so you can add the page to an existing list or create a new one. You can really get creative in your list management. You can create a new list and name it anything you want. This is a great way to organize your friends and pages according to your relationships and interests. The lists also serve another purpose when you are posting status updates and other items to your Wall. After you enter your status update, you can choose to share it with a specific list. Clicking the ‘More Options’ link shown above will open up your lists and allow you to share the item accordingly. Just keep in mind that all future posts will default to this setting. Another option is to assign people to the ‘Restricted’ List that appears at the bottom. This list can only see posts and profile information that you make public. As you can see, creating lists can make time on Facebook more enjoyable, organized and private.